Why not start off a movie blog with a short review of one of the acknowledged best films of all time? When Ilsa Lund hears that the Nazis have killed her husband she is inconsolable…until she meets Rick Blaine. They meet in Paris, a city on the brink of an invasion by German forces, and in the midst of this ongoing chaos the two quickly fall in love. But then, mysteriously, Ilsa runs away. She disappears from Paris without a word of explanation, and leaves Rick an embittered man. Three years later they bump into each other again, this time in the free French North African town of Casablanca, but Rick is stunned to find out that Ilsa is there with her very undead husband! I am a fan of many World War II films, particularly those that were made at that time. What sets Casablanca apart (and above) the many other very good WWII movies is that it is not a movie about heroes doing heroic things. Rather it is about lonely, broken, and even wretched people in difficult conditions doing the right thing in the end. That might sound rather depressing, but it isn't. These are the sort of folk we can empathize with, so when they pick principle over pragmatism we're right there with them, cheering them on, and hoping that we would do the same. For a very different (but equally enthused) review, check out Harma Mae Smit's thoughts here. 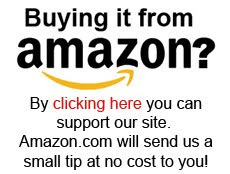 You can find Casablanca at Amazon.com here and Amazon.ca here. 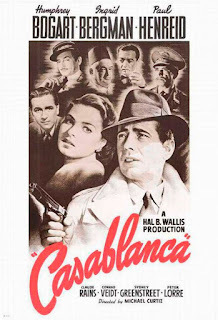 And for a film professor's take on why Casablanca is great see below (but, warning, there are spoilers! ).